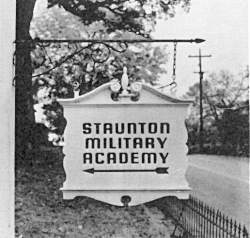 If you were here in 1906, you're the ghost cadet leaning on the station rail, and your parents probably saw the SMA advertisement below. 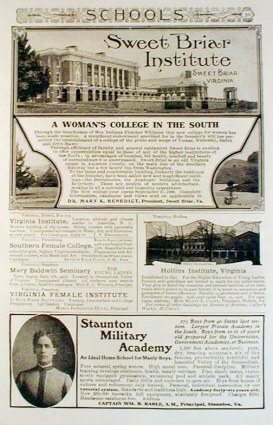 While the publication in which it appeared is unknown, in the sixties, SMA ads appeared in magazines like The National Geographic. 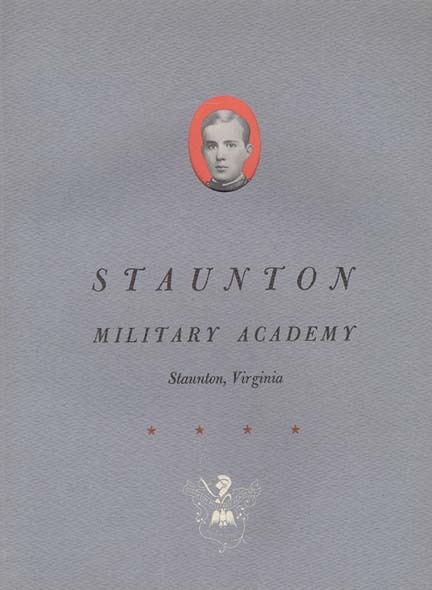 ...this one being the 1960's version, which, regardless of era, sold parents and brought cadets here, to the Staunton Station, where in about another minute you'll be wisked off to The Hill. 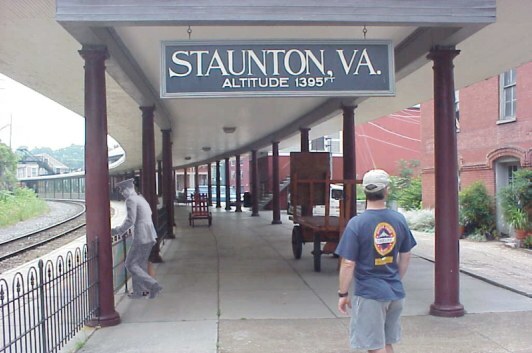 According to the 1906 ad, it's a 205-foot climb, so grab your duffle bag and hold on. But, if you're in a real hurry and can't wait, you must not be a rat, so just click the home button at the bottom of the page or HERE, and you'll be in your bunk as soon as you get your room assignment. was at the bottom of the road that leads up to Wieland Gate. Do you remember that kitty cat? The sound, feel, and odor of the rail? Rat apprehension? This C & O Historical Society site may awaken some of those special SMA memories.